You will Watch One Piece Episode 476 English Dubbed online for free episodes with HQ / high quality. Stream anime One Piece Season 14 Episode 18 Luffy at the End of his Tether! An All-Out Battle at the Oris Plaza! Whitebeard attacks the Marines in the plaza, and Aokiji comes to fight him until third division Leader Jozu arrives to handle him. 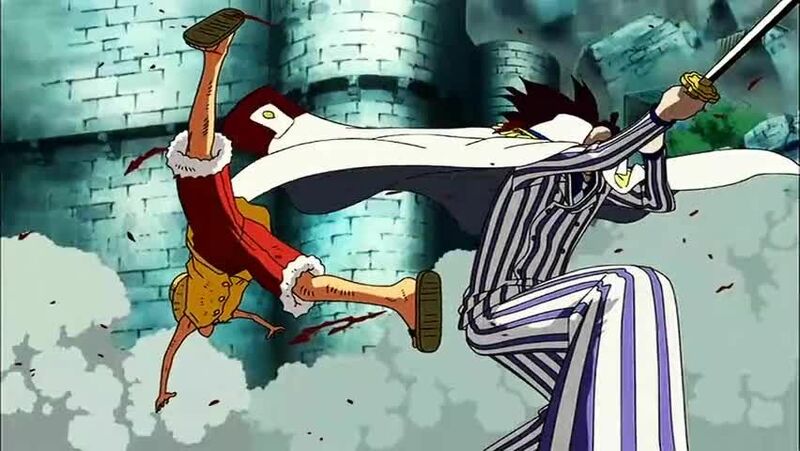 Luffy comes under attack from two vice admirals and Kizaru, then collapses from his injuries and exhaustion. Whitebeard tells Luffy to stay out of the rest of the battle, but admires his persistence. The battle continues as Akainu engages Whitebeard, the allied pirates arrive to help Whitebeard’s pirates, and the Pacifistas arrive to fight them. Marco flies up to rescue Ace, but Garp knocks him back and declares that anyone trying to rescue Ace will need to kill him first.